Storm water is the rainfall that flows across our roads, driveways, yards, and parking lots during a storm event and enters into the storm drain in the street. This water flows untreated into a stream or river, which leads to a lake, your drinking water source. Along the way, the water picks up contaminants including trash, oils, cigarette butts, pet waste, fertilizers, and anything else in its path. Storm water carries these pollutants straight to the closest water body. 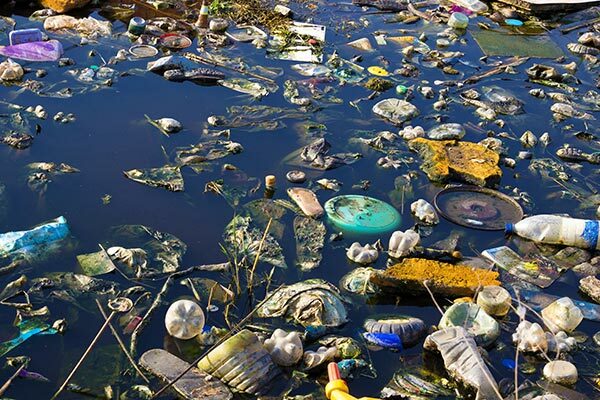 Storm water pollution is one of the biggest threats to the health of our surface waters. To reduce the impacts of storm water pollution on surface waters, federal and state regulations have been set in place. Cities, including Joshua, are required by the Texas Commission on Environmental Quality to have a permit and develop a program with specific requirements that minimize pollutants discharged from the storm sewer system. Scoop the poop. Pick up your pet’s waste and dispose of it in a trash can. Pet waste can contain harmful bacteria and parasites. Don’t apply pesticides or fertilizers before it rains. Instead of them soaking into the ground, the storm water will simply carry them to your local water body. Never sweep or blow lawn clippings or leaves into the storm drain; this causes depleted oxygen for aquatic life. Don’t get rid of old or unused paint by throwing it down the storm drain; dispose of paint and other household hazardous waste at recycling facilities. If you change your vehicle’s oil, don’t dump it on the ground or in the storm drain; dispose of its properly at an oil-recycling center. Please notify the City at (817) 558-7447 if you see anything suspicious in our streams and creeks. Pollutants in a stream, creek, or any other water source.